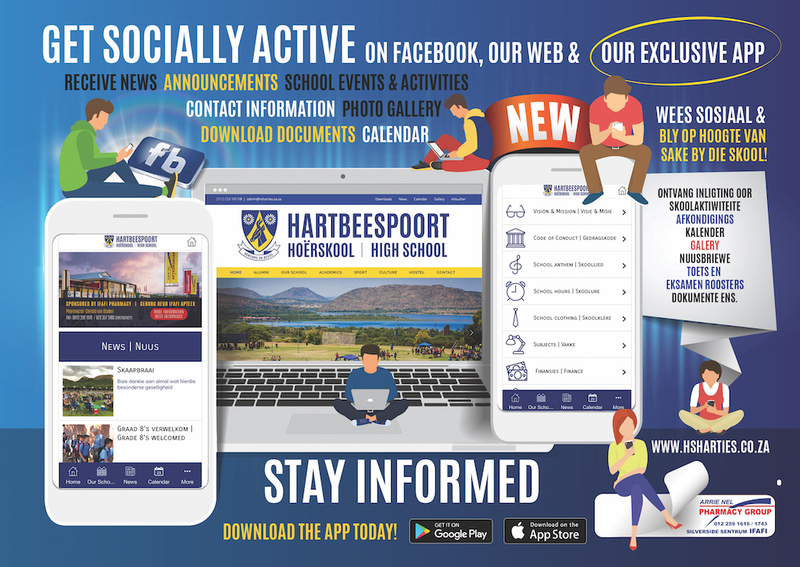 The history of Hartbeespoort High School goes back even further than the founding of “Hartbeespoort Huishoudskool” on 14 March 1927. After the First World War and the Anglo-Boer War, our country was in a very bad state regarding unemployment and poverty. With the building of the Hartbeespoortdam, people from all over the country came here for work. A lot of these people, were families with young children who needed education. A minister, Ds van der Horst, was concerned that the daughters of these families could not extend their education further than standard five (5) and suggested that they start with a housekeeping (huishoudkunde) school. That was a huge risk, as it would have been a whole new way of thinking about education. The school was built on the other side of the dam wall on the premises of water affairs. Op 15 Maart 1927 het mej Martha Human, die eerste hoof, die skool met vyf dogters begin. Die Huishoudskool Hartbeespoort was net onderkant die damwal in een van die geboue van die Hartbeespoort “Irrigation Works” gehuisves. In 1945 het mej Human die tuig neergelê en mej Rooy neem oor as hoof. Die skool word later ‘n volwaardige Huishoudskool waar dogters hul senior sertifikaat kon verwerf. In 1949 the name of the school was changed to “Hoër Huishoudskool Martha Human”. During the Second World War the Education Authorities were very concerned about the fact that the school had to operate in a very secluded area. This fact made it difficult for the school to expand as well as the poor facilities on the premises. That meant that the number of students was never more than a 150. In 1967 the new “ultra modern” school with hostel facilities was built against the Magaliesberg mountain. The learners and personnel moved in to the new school on a Friday afternoon in May of 1967. After 40 years and two months, after lots of blood, sweat and tears, the school received a new “HOME”. In the second term of 1970 work was started on building sport grounds on the school premises. Also in 1970 the Transvaal Provincial Department of Education took over control of the school and started with the process of transforming the school into a proper High School. The school had it’s first formal matrics in 1975. In April 1975 the school’s name was officially changed to “Hoërskool Hartbeespoort”. At the same time the department started planning to add boys to the still only girl’s school. In 1976 they started with the building of extra classes. They built through the whole of 1977. When the school started for the new year in 1978, the first boys arrived at Hartbeespoort High School. In 1983 the school had a matric class of 61 learners. By 1985 the school’s learner numbers stood at 600. In 1988 they had 150 matrics. In 1990 the school started with computer education. They started with one computer that was donated by a private firm. Shortly after that the department issued a computer for administration use in the office and the learners received their first report cards that were done by computer. The Rotary Club of Brits donated R4500 to the school to buy more computers. In 1991 the numbers rose to above 800 learners. The school received an extra 10 computers for computer science as a subject. 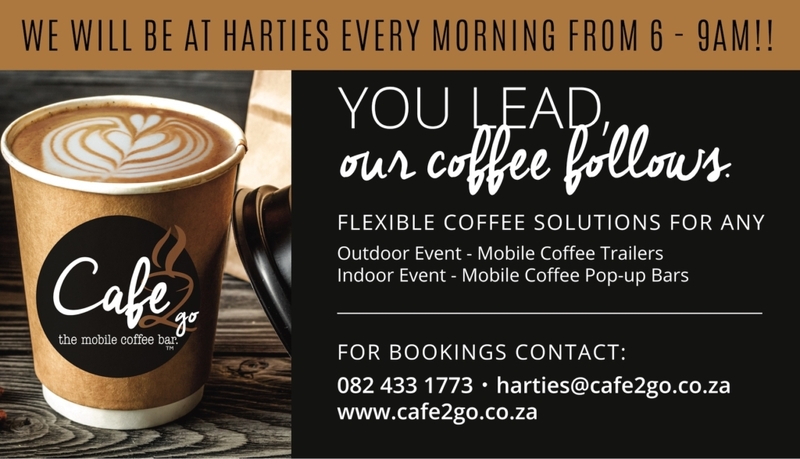 Since 1 April 1992 “Hoërskool Hartbeespoort” has been a Model-C school which meant a Government supported semi-private school. In 1994 the school made a huge decision to become a double medium school, teaching in both Afrikaans and English. At the beginning of the new school year in 1995 the school enrolled their first English students. Since 1995 the school has become very diverse having learners of different nationalities and cultures participating in all school activities, from academics to sport and culture events. With the wide variety of different culture groups in our school, we believe that our learners have an advantage over learners coming from a non-double medium school. We have double medium in our junior phase, gr8 – 9 and then parallel medium in our senior phase, gr 10 – 12.